Doctor Doom is one of the most powerful super-villains in the Marvel Comics universe. Doom wears armor that was magically forged at a secret monastery in Tibet. This papercraft Doctor Doom helmet is the work of Lord Magneto, a RPF member who wanted to do a Doom cosplay for Comicon. The Pepakura PDO template for the helmet may be downloaded here. 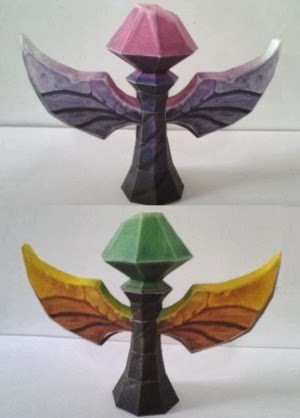 Since the time I released my League of Legends sight ward papercraft, Riot Games has revamped the look of the game. 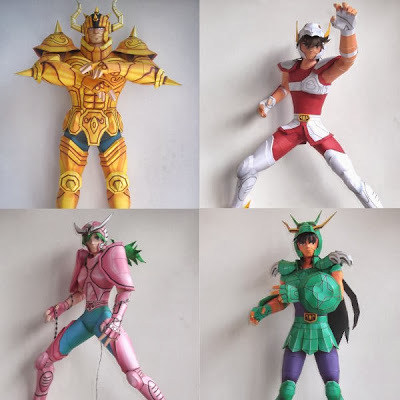 Here are some papercraft replicas of the new sight and vision wards as they now appear in the game. Compared to the old wards, the wings are more organic looking and the crystals on top are broken rather than whole. The templates for these paper models were created by Portaldragon and may be downloaded here. 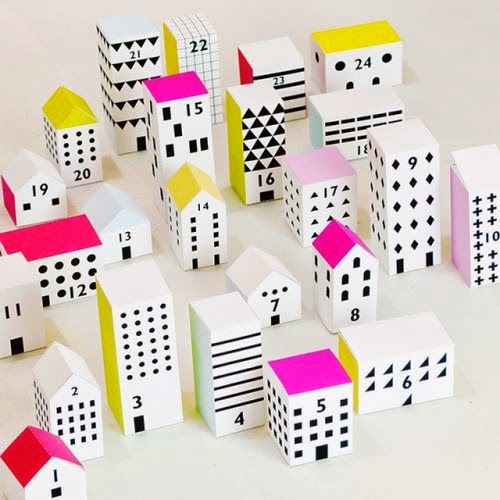 "This printable Christmas advent calendar has every house on the street from 1 to 24. Create these easy-to-make match box size houses and buildings and children can visit each house everyday until Christmas. Hide little treats or activity ideas of the day inside. Or place inside little people or animals who live in the houses. Every house has a story." The PDF templates for the houses may be downloaded here. In the Avatar: The Last Airbender animated series, Amon is a mysterious leader of anti-bender group. He has the power to remove a bender's abilities permanently. 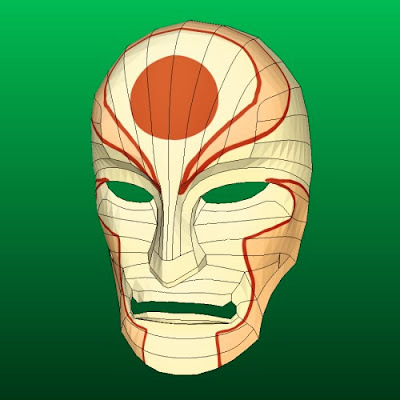 This full size papercraft mask is a replica of the mask Amon wears to conceal his true identity. 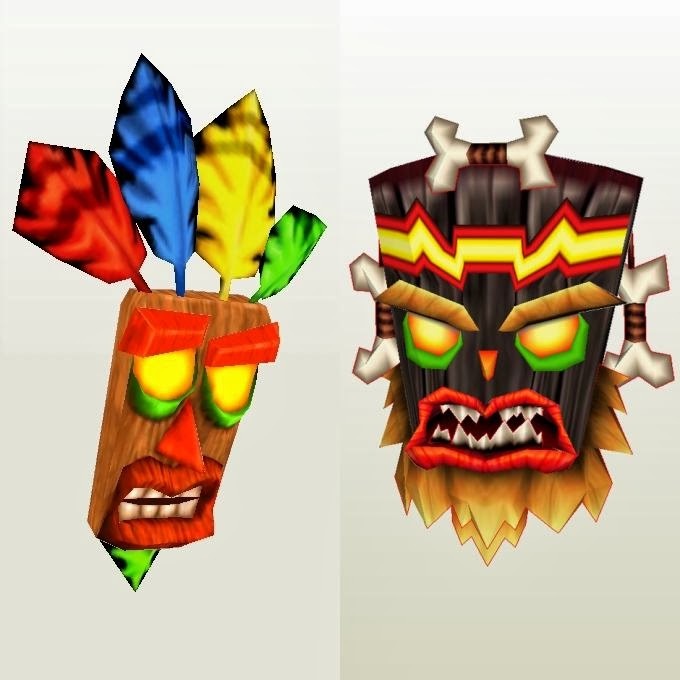 The template for the mask may be downloaded here. Special thanks to DeviantART member JAXMP for creating this papercraft! 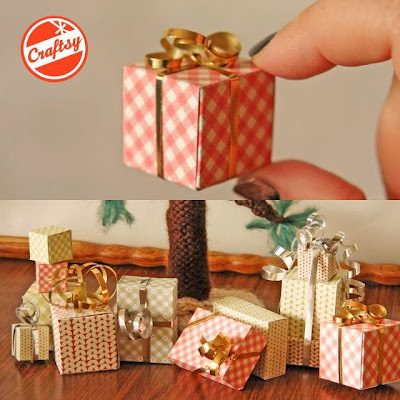 Offered by Craftsy.com, these tiny boxes make cute decorations around a miniature Christmas tree! 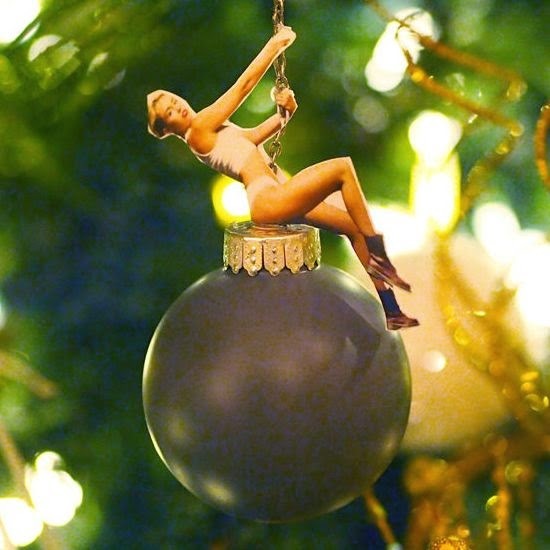 Or use them as tiny gift tags. Or for giving tiny gifts! There are two gingham patterns and two knit print pattern boxes available. 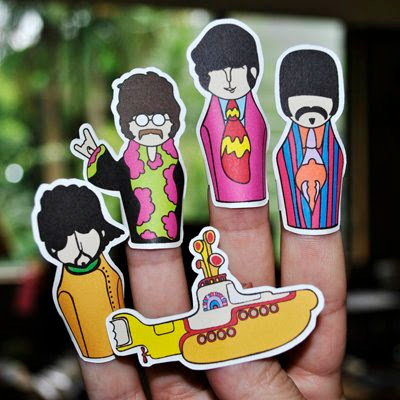 No glue is required. Register with Craftsy and the template download is free. Pontiac Firebirds were produced from 1967 till 2002. This papercraft Firebird shows the car's design for the 1982 to 1984 model years. 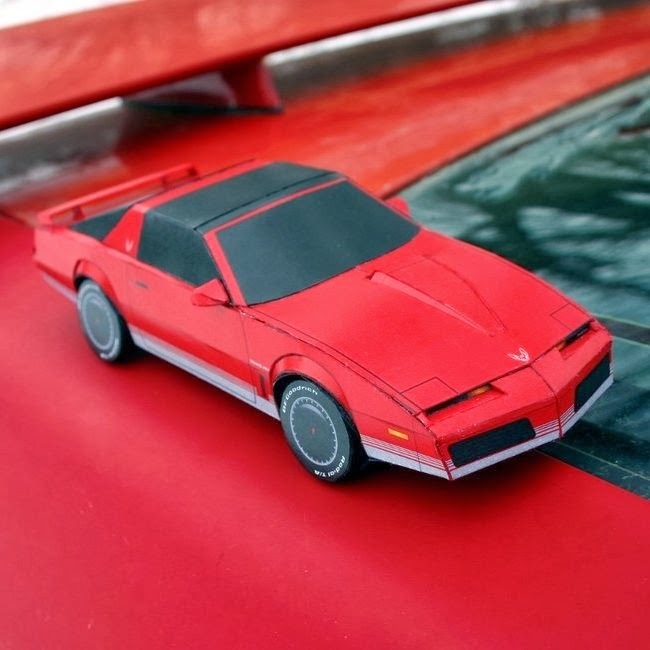 The model is available in numerous color schemes, including... a Knight Rider KITT version! Templates for the car may be downloaded here. 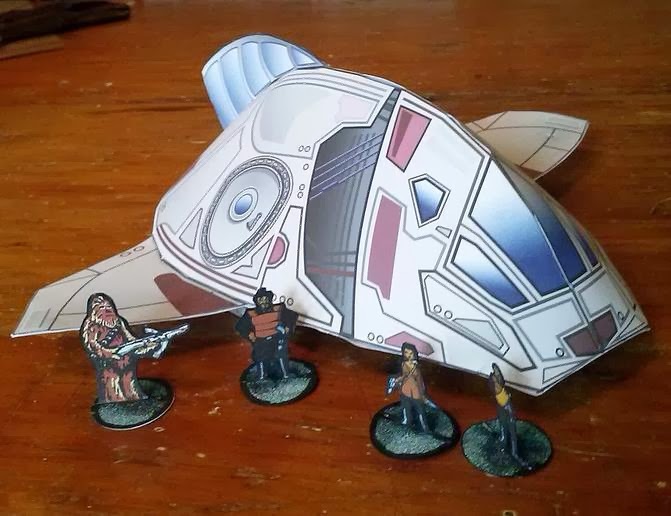 This papercraft was designed by ProjectKITT who also designed a Bumblebee Camaro paper model. For Christmas 2013, Kallboys has released a papercraft merry-go-round that actually spins! In the early twentieth century such carrousels were a tradition in outdoor Christmas markets in Germany. 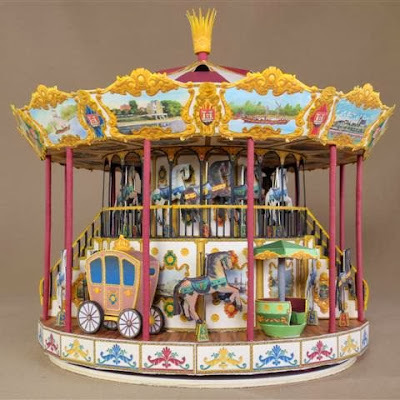 The PDF template for the merry-go-round may be downloaded here. For a paper model of an entire German Christmas market (complete with carrousel) see my previous post here on Kallboys' 2011 Christmas papercraft. 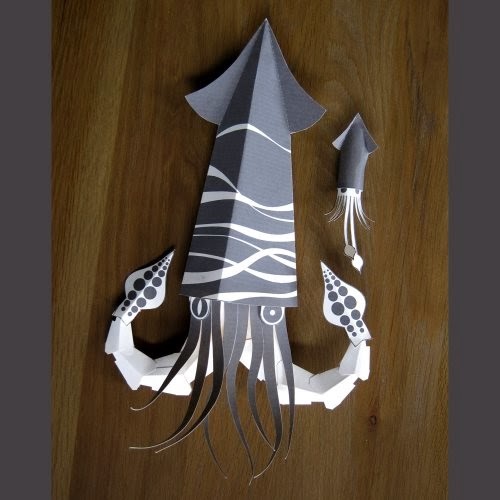 This paper squid is one of three delightful poseable papercraft creations by Schuyler Smith at Brave Face Paper Company. 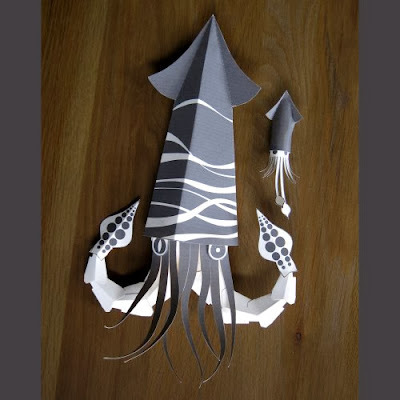 In addition to the squid, templates for a crab and a pair of dragons are also available for download. Each of the papercraft animals is rigged with strings on the inside so they may be moved like a puppet. 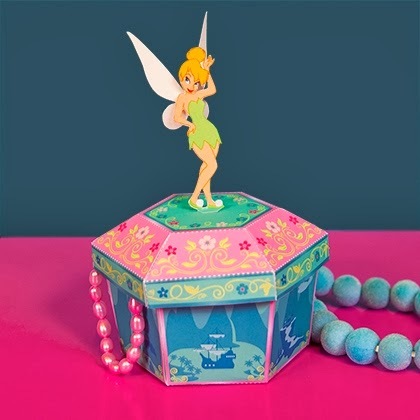 This papercraft Tinkerbell jewelry box features scenes of Neverland around the sides. Construction of the box is simple enough that even small children can build one with a little help from an adult. 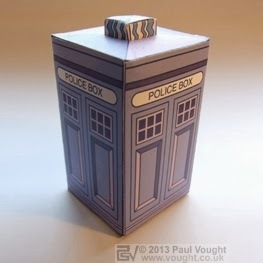 A free download of the box's printable template is available from spoonful.com. 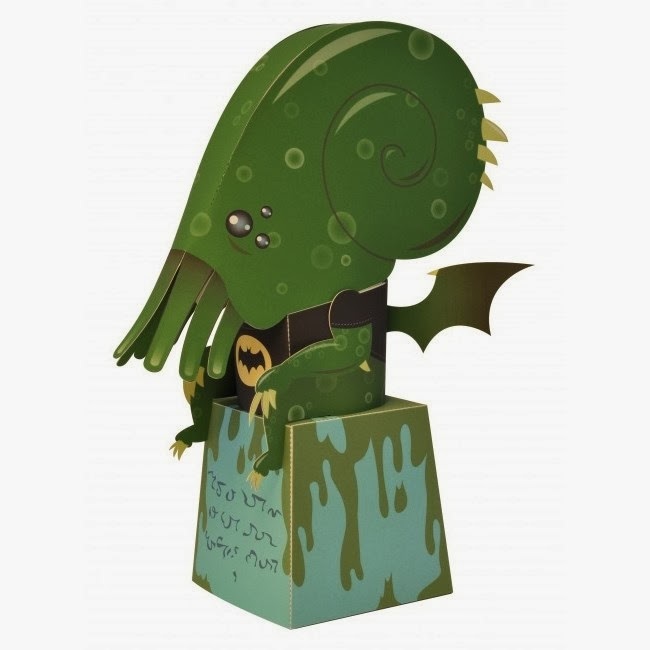 Paper engineer Phillip Fickling has created a humorous papercraft of Cthulhu wearing a Batman tee shirt. Cthulhu's pose and the writing on the model's base look suspiciously like a 1934 hand sketch of the ancient one by H. P. Lovecraft himself. 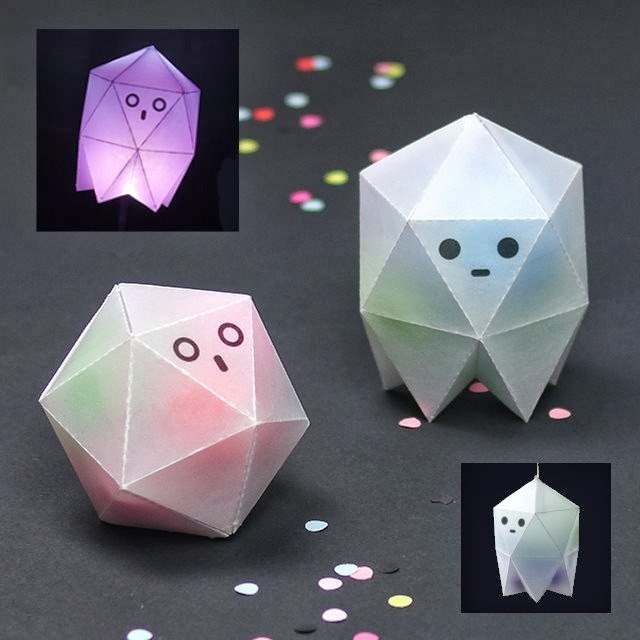 The template for this paper toy may be downloaded here. 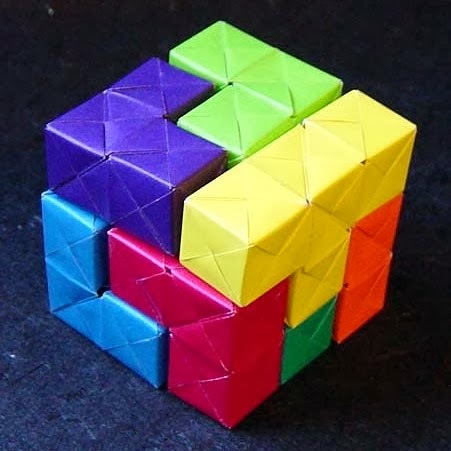 A Soma cube is a 3D puzzle invented in 1933 by Danish scientist Piet Hein. Many of the pieces of the puzzle are the same shape as pieces in the Tetris video game. This origami Soma cube was created using Sonobe modules. Instructions to create your own origami Soma cube may be found here. Build photo by Shaya. 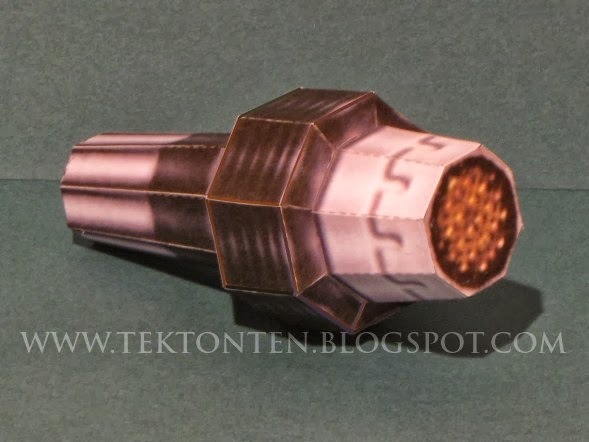 Due to dealing with a flooded basement, I missed mentioning that November 5th was the fifth anniversary of Tektonten Papercraft! Thanks for everyone’s continued support! This has not been my most productive year for papercraft, but I hope to get back in the swing of things in the next twelve months. One thing I want to do is to add more papercraft skulls to my video game skull series. Pictured are some of my “work in progress” skulls. From upper left going clockwise are skulls from Return to Castle Wolfenstein, Alien versus Predator, Halo 1, and The Elder Scrolls V: Skyrim. 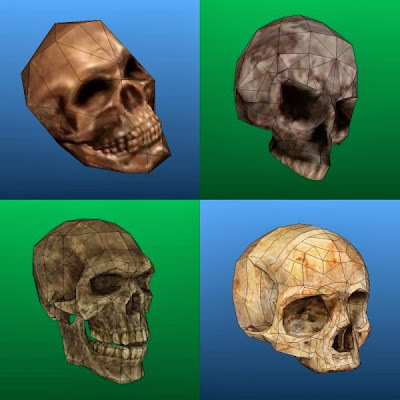 Links to previously released skulls in the series are listed below. UPDATE: The first two skulls are complete! They may be downloaded here and here. 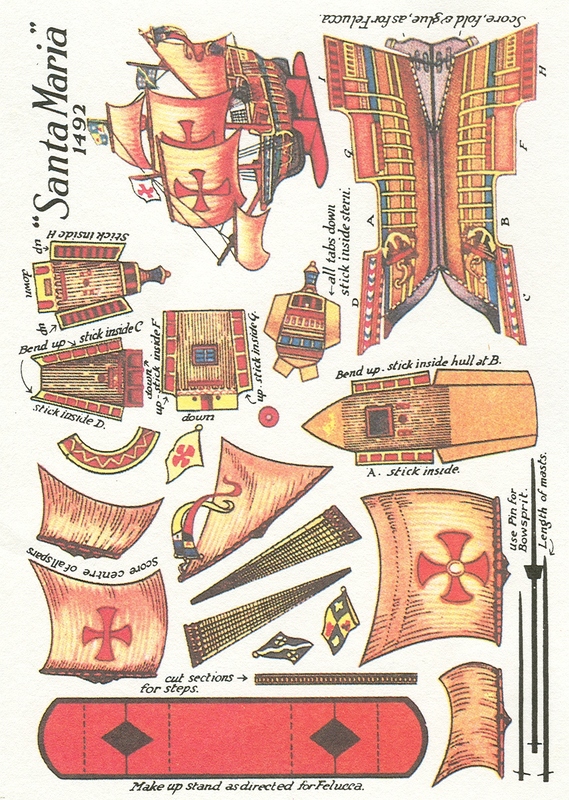 Here is a simple paper model of the Santa Maria, the largest of the three ships Columbus used in his first voyage to the New World. The full name of the Santa Maria is La Santa María de la Inmaculada Concepción. The template for the ship may be downloaded here. The build photo is by Ellen McHenry. In the past two years I released full scale paper models of both the Dream Sword and the Dream Rod from Kingdom Hearts II, but I never got around to producing a model of the third Dream weapon, the Dream Shield. Fortunately, Mickey103 at DeviantART has created a Dream Shield papercraft that can be used to complete the set. The shield is a little smaller in scale than my sword and rod. 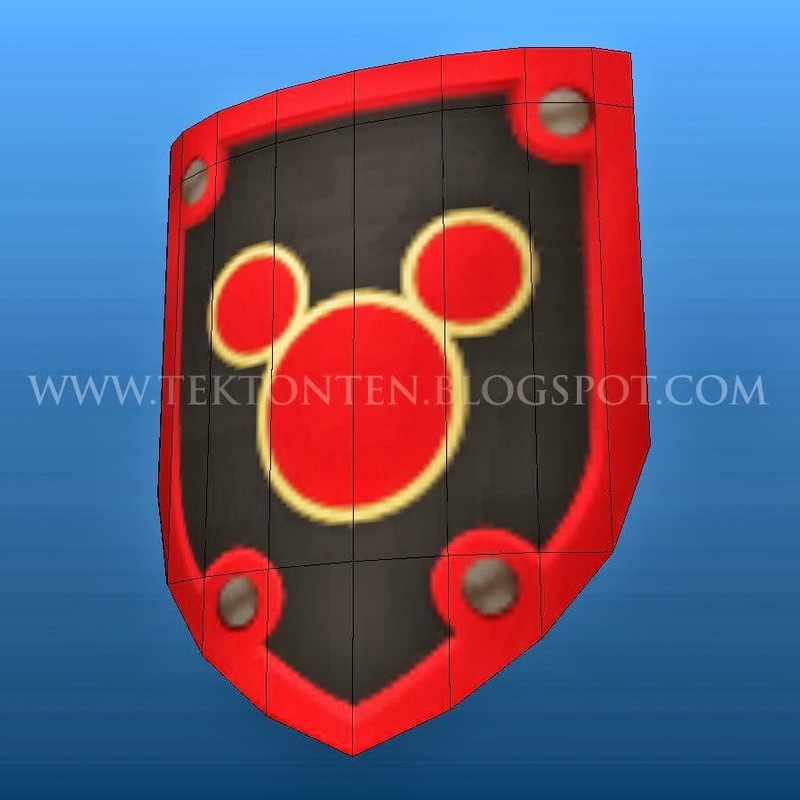 However, the PDO file for the shield is provided unlocked, so the template may be scaled up to match the scale of my models if desired. The template for the shield may be downloaded here. As with the sword and rod, interior reinforcing of the model is recommended if using it for cosplay. No combustible lemons actually appear in the game, but numerous fans have created lemon grenade models to pay homage to the amusing speech. 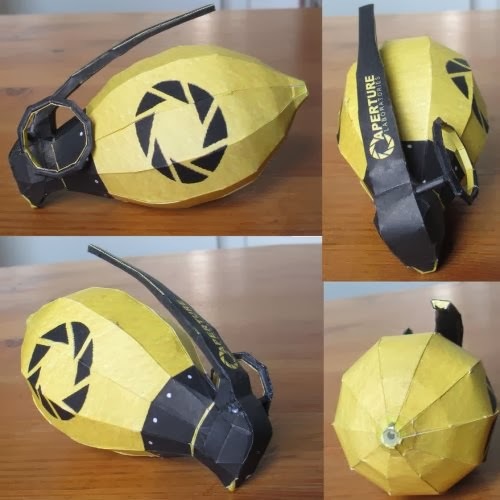 The template for this papercraft lemon grenade was created by DeviantART member Turnip-stew and may be downloaded here. Build photo by Minidelerium. Here's a papercraft shuttle for use in miniature gaming. The official name of this ship is the "FireBeetle Shuttle, Mark II".The shuttle's design is loosely based on shuttles seen in the Serenity sci-fi television series. The seven page PDF template for the FireBeetle may be downloaded here. 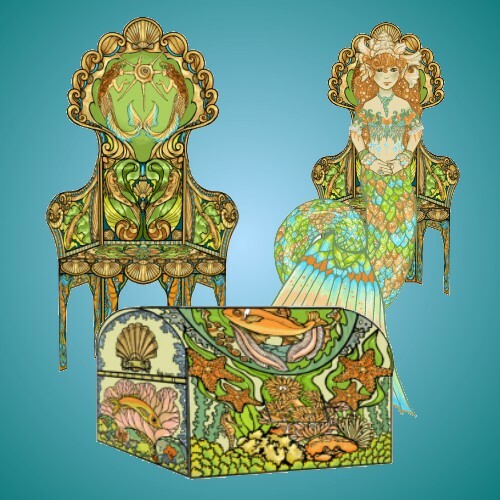 This fanciful papercraft mermaid, chair and treasure chest were created by Phee McFaddell. The template for each is a color-it-yourself PNG file which may either be printed and colored by hand or colored with a program like Adobe Photoshop. The chair and the treasure chest are what I would consider 2 1/2 D papercraft. The mermaid is more like a paper doll, although her tail is designed to be folded so that she may actually sit in the chair. The templates for all three items may be downloaded here. 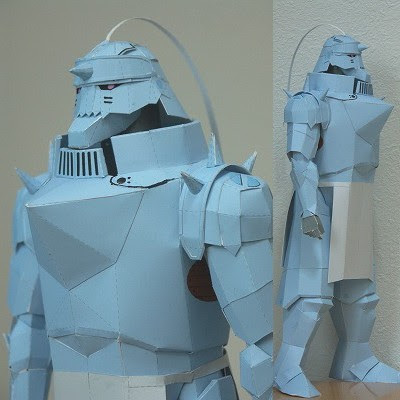 This is one of the better paper models of Alphonse Elric to date. In the Fullmetal Alchemist anime, Alphonse is a child whose soul is imprisoned in a suit of armor after a failed alchemy experiment designed to bring his mother back to life. The template for this papercraft is available in Pepakura PDO format only and may be downloaded here. 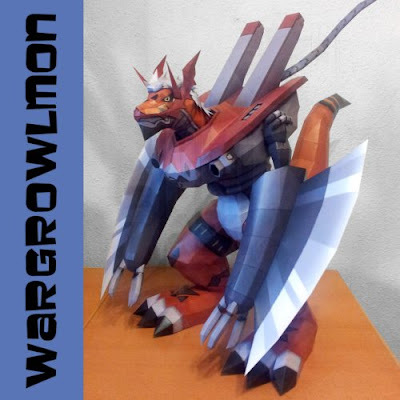 You can always count on Destro2k for flawless papercraft builds and this Wargrowlmon is no exception. Wargrowlmon is something akin to a cyborg dragon. He is one of the most powerful fighters in the Digimon universe thanks to his pendulum blades and other enhancements. 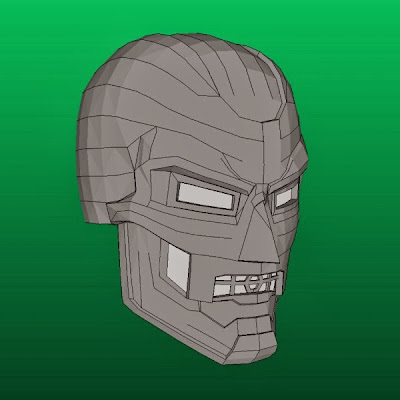 A Pepakura PDO template for the model may be downloaded from Destro's DeviantART page. 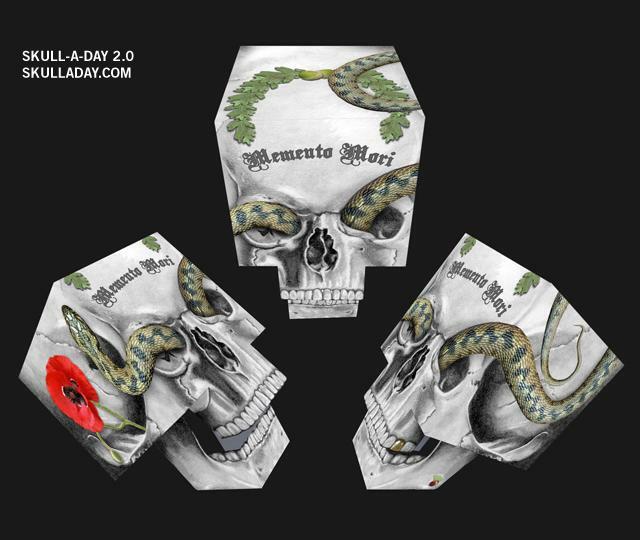 The Skull-A-Day blog has an easy to build "momento mori" papercraft. A momento mori is a work of art intended to make the viewer aware of their own mortality. A positive spin on such art is that it reminds us to make the most of each day. The template for this skull may be downloaded here. "The 1973 911 Carrera RS Coupe is among the most sought-after versions of Porsche’s evergreen sports car, and it is the one that is most copied by marque enthusiasts. It is so widely admired that there are far more replicas than the real deal." 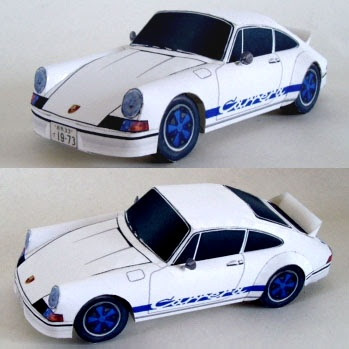 It appears that the admiration for the car extends to creating paper replicas as well. ;) The paper model pictured was created by Japanese paper modeler Takumi. The template for the model may be downloaded here. 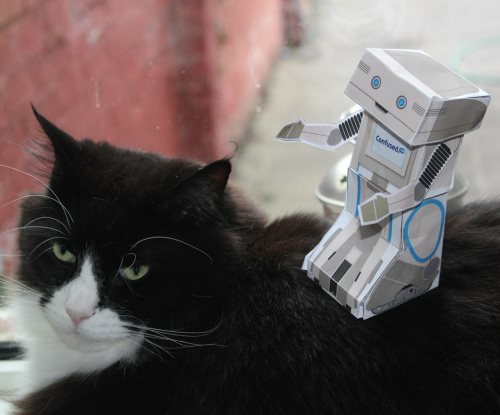 The UK insurance comparison website, Confused.com, is running a papercraft photography contest. Build a paper model of their robot mascot, Brian, post a photo of your build online, and you could win fabulous cash and prizes! Says the cat, "I am not amused." The template for Brian the Robot may be downloaded here. In the history of the Doctor Who television show there have been two types of Cybermen. In the original series, Cybermen are cyborgs from the planet Mondas. 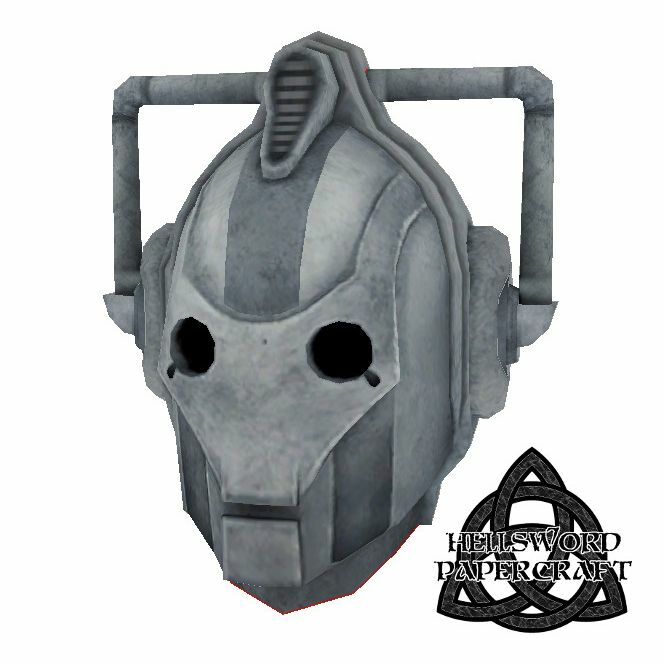 In the reboot of the series, Cybermen are robotic entities manufactured on an alternate universe Earth by Cybus Industries. This papercraft Cyberman helmet is that of the second type of Cyberman. PDF and Pepakura PDO templates for the helmet may be downloaded at Hellsword Papercraft. These four mini papercraft dollhouses are but a sampling of the 24 available from the Japanese website, Paper Museum. 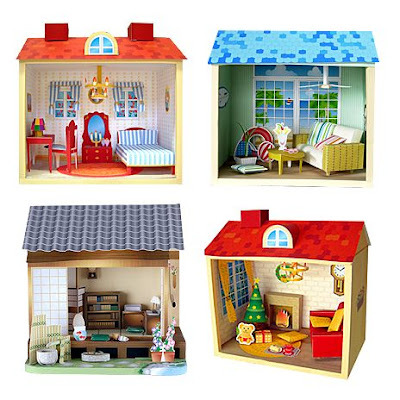 The dollhouses range from traditional Japanese houses to Western style dwelling to shops and restaurants. The PDF templates for the houses may be downloaded here. Detailed picture instructions are included. This has been a busy year for me so I haven't been able to finish as many of my own personal papercraft creations as I would like. However, I did manage to get this one completed. It is a full scale paper model of Lucius Malfoy's wand as seen in the Harry Potter movies. 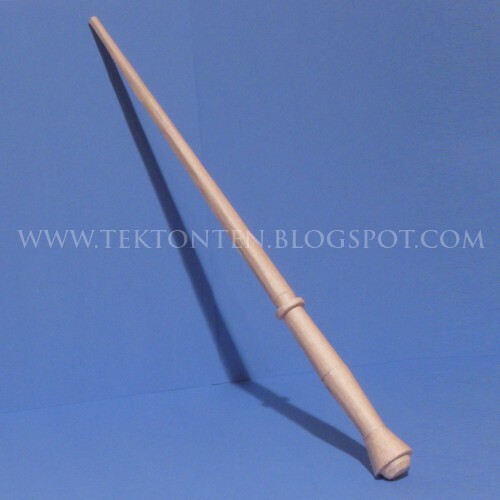 This is the wand Lucius uses after Lord Voldemort confiscates his more elaborate snake headed wand. This was not an easy build! Due to the small circumference of the upper part of the wand, I think using heavy paper rather than card stock may have made the build easier. A download of the template is located here and includes Letter and A4 size PDF files as well as a Pepakura PDO file for reference. "Bucky Balls are named after Buckminster Fuller, who popularized the geodesic dome. The shape defined by Bucky Balls is also found in the Carbon 60 molecule, a form of pure carbon with 60 atoms in a nearly spherical configuration, the truncated icosahedron and soccer balls." 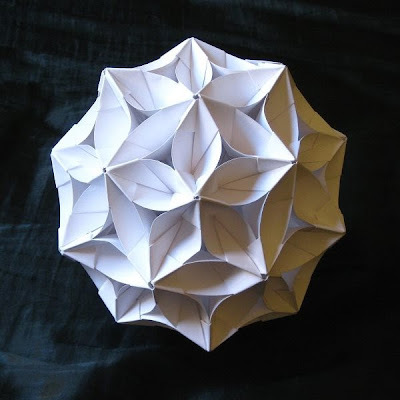 This origami flower is based on the same geometry as a Bucky Ball. Ninety individual "petals" are attached together to create the flower. Video instructions to create your own flower are located here. Build photo by DeviantART member Art-in-Murder. 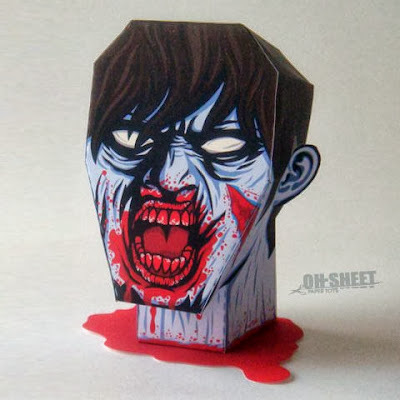 Bryan C. Ratliff makes some sweet paper toys. 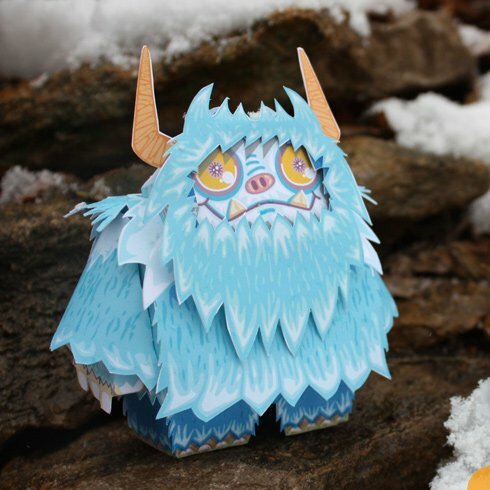 This "Neddy the Yeti" paper toy is one of my favs. In pop culture, the yeti is one of the best known cryptids (animals who certain people believe to exist, but whose existence has not been verified by science). A PDF template of Neddy may be downloaded at Ratliff's Chemical9 website (look in the "monsters" section). As described by their website, Entropia Universe is "an advanced 3D online virtual environment with a developed planetary system and one universal Real Cash Economy system." Entropia Universe made the Guinness Book of World Records in 2010 when a virtual resort in the game sold for $635,000 USD. 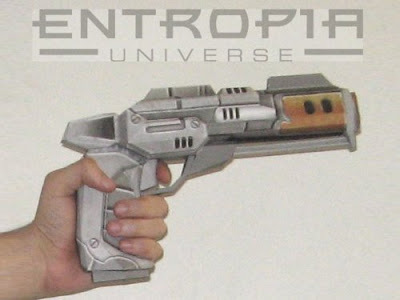 This Entropia pistol is one of several papercraft fan art creations that may be downloaded from the Planet Calypso Forum. Also available are an assault rifle and a spider bomber robot. 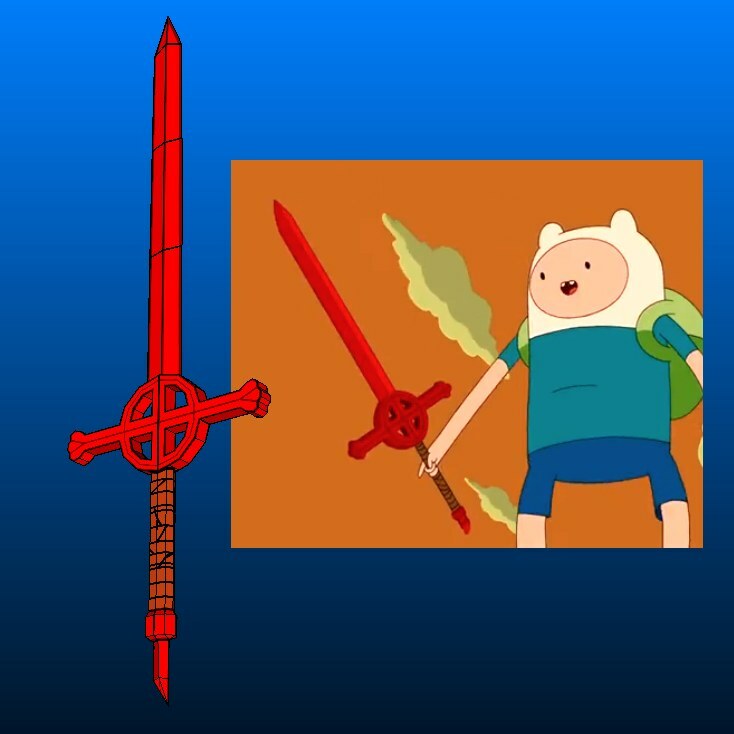 The Demon Blood Sword is the longest of the many swords Finn uses in the Adventure Time animated series. The sword is supposedly composed of demon blood which is ironic given the sword's basic shape is that of a Celtic cross. A Pepakura PDO template for building a full scale papercraft Demon Blood Sword may be downloaded here. The template was created by DeviantART member Aiko-chan14. Thanks to Leo for letting me know about this one! The pieces of this corrugated cardboard model of Doctor Who's TARDIS were cut out using a laser cutter and assembled using a minimal amount of glue. 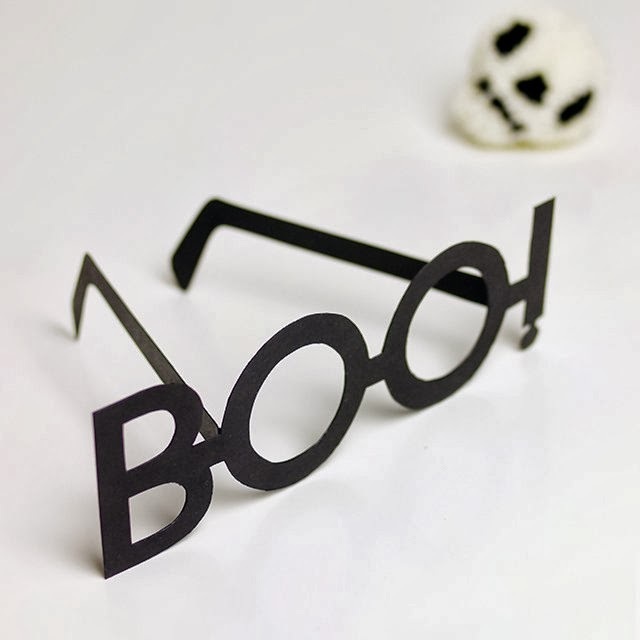 Don't have a laser cutter? 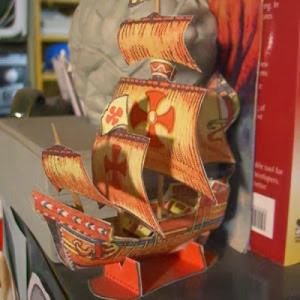 The parts may be printed on paper, glued to cardboard, then cut out by hand. 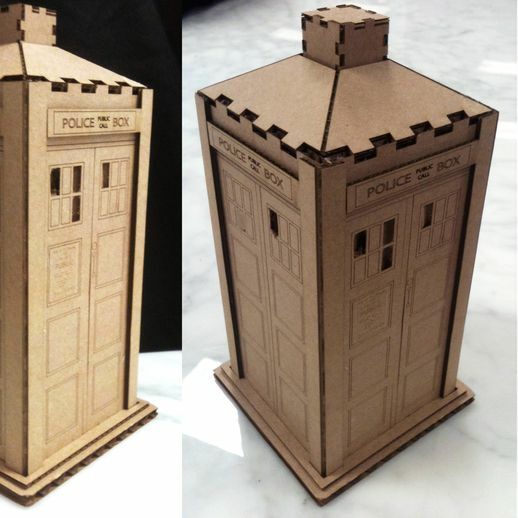 The template for the TARDIS is available at the DIY website, Thingiverse. 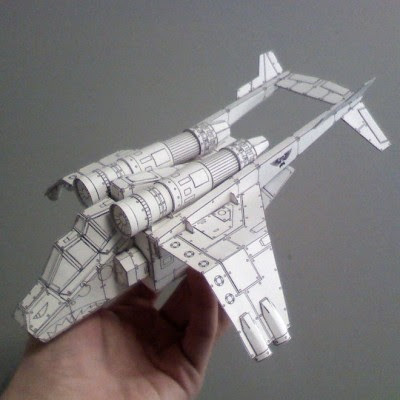 For use in the Warhammer 40k tabletop wargame, this papercraft Imperial Guard Valkyrie was created as an alternative to the more expensive store-bought plastic model of the aircraft. The Valkyrie is described by the manufacturer of the game as "a twin-engine attack craft used for aerial insertions and drop missions". The PDF template for the model comes with both color and color-it-yourself versions and may be downloaded here. Build photo by DeviantART member VAFeuerstein. Goku and Kid Buu are characters in both the Dragon Ball Z manga and the animated television series. In the manga, Kid Buu is the final villain encountered by the Dragon Ball heroes. 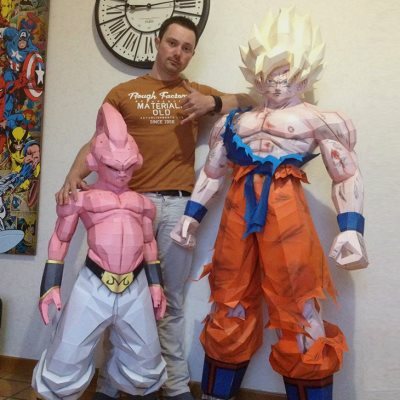 These life size paper models of Goku and Buu were created by Paper Juke. The templates for the models may be downloaded here and here. While papercraft Disney princesses may be more popular, there are paper models of Disney villains around too. 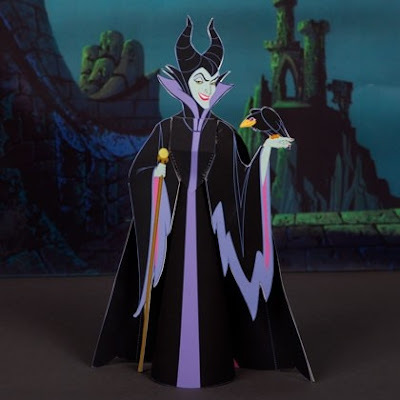 One of my favs is this papercraft Maleficent from Disney's Sleeping Beauty. The PDF template for the model is available at Spoonful. A live action Maleficent movie starring Angelina Jolie as the title character is set to be released in 2014. 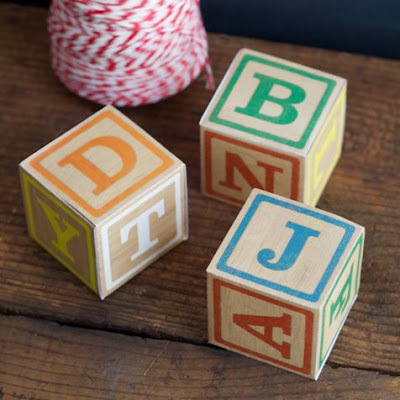 "We used vintage typography and a wood texture to create a design that when printed and assembled, looks like real vintage wooden blocks." The PDF template includes three different blocks and may be downloaded here. Uses for the papercraft blocks include gift boxes and decorations for baby related celebrations. This papercraft Doctor Who pocket watch is based on a 3D model from the BBC sponsored PC game, Doctor Who: The Adventure Games. The good doctor can be seen from time to time using a similar watch in the television series. 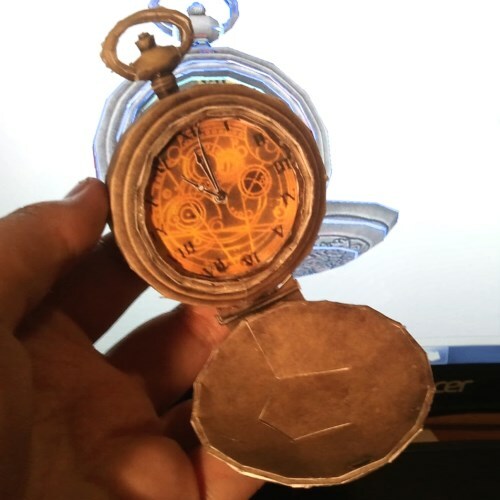 PDF and Pepakura PDO templates for the watch are available from Hellsword Papercraft. 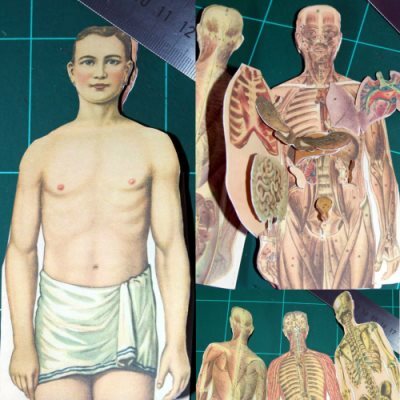 This 1940's paper anatomy model originally appeared in a volume of The New People's Physician medical book. The model can be folded out to reveal several different body systems including skeletal, muscular, circulatory, and nervous. A printable scan of the model is available at papertoys.com. Build photos by SarienSpiderDroid. 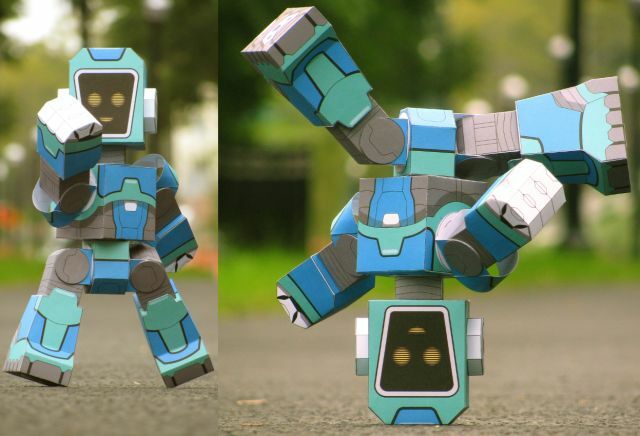 The official name of this ultra-poseable papercraft robot is the "Facebot VSN Dynactron MK IV". The finished toy stands 10"(25.4 cm) tall and has ten axes of rotation. 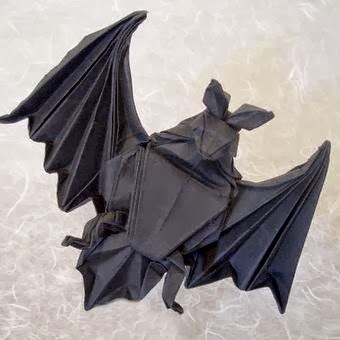 The free PDF template for the bot was created by Josh Buczynski and may be downloaded at his website, Paper Poseables. In the Yu-Gi-Oh franchise, the Winged Dragon of Ra is one of the most powerful monster spirits. The Winged Dragon is one of three major monsters based on Egyptian gods, the other two being Obelisk the Tormentor and Slifer the Sky Dragon. 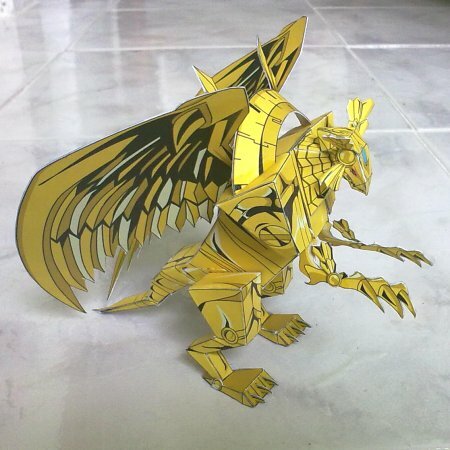 This papercraft likeness of the dragon may be downloaded at Anime Paper Toys. Remember those happy singing mice in Disney's Cinderella? 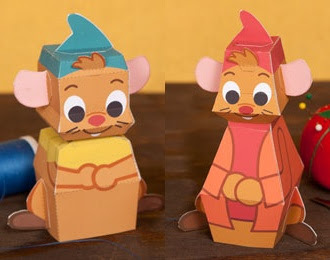 The Disney Family website offers papercraft likeness of two of the mice, Gus and Jaq. The templates for the easy-to-build paper models are available here and here. Warmachine is a steampunk themed tabletop wargame that makes use of a D20 role-playing game system. 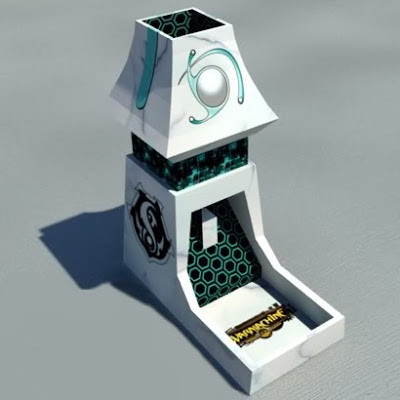 Warmachine fan Apocyphim created this papercraft dice tower to use with the game in an attempt to improve his "uncanny record of below average dice rolls." ^^ The PDF template for the dice tower may be downloaded here.